Palm tree leggings: Versace for H&M. 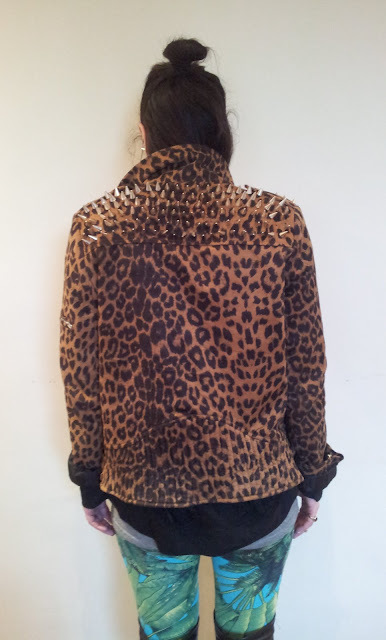 Leopard spike jacket: Nasty Gal. 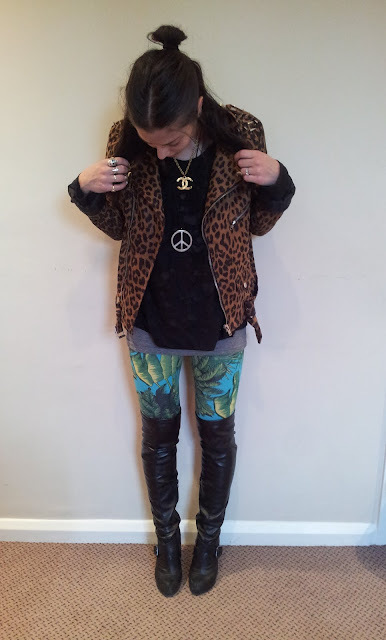 Ripped holey jumper: George @ Asda (you must all know by now how I feel about supermarket clothes shopping..it's excellent fun) Leather over knee boots: Topshop. Vintage Chanel necklace: Susan Caplan Vintage. Peace necklace: Market.